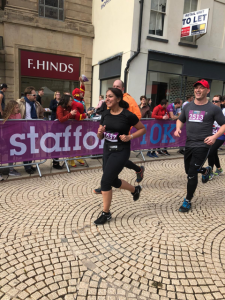 Daljit Kainth participated in the Stafford 10k for the third year in a row raising £742 (and counting) towards DOM projects. 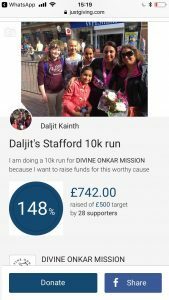 She has previously had a water well built and langars with the funds raised. She is a great inspiration to all and we sincerely thank her for all her efforts.